I get asked about permanent make-up a lot. And the top question I get, over and over again, no matter where I go, is this: what's the difference between the microblading, ombre powder fill, and hybrid methods, and which one is best?" I get asked this question so often that I figured it was time to do a blog post about it. So here you go: the guide to permanent brows! First off, no one method is better than the others, because it all comes down to personal style, skin type and colouring. Microblading has taken the beauty industry by storm in recent years. 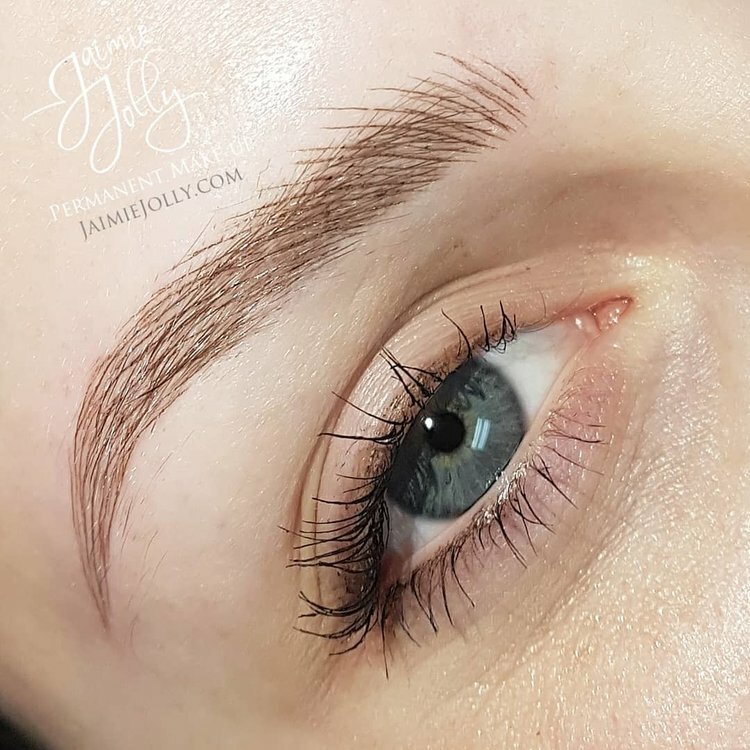 A very natural looking brow can be achieved using a hand-held tool, creating many hair-like impressions by implanting pigment strokes under the skin. Microblading is meant to replace individual hairs, not to fill your brows to look like they're filled in with pencil or shadow. Pros: Microbladed brows look very natural. If done by an experienced professional, each stroke looks like real hair. Cons: Microbladed brows are the least permanent of all Permanent Makeup because of the shallow depth we penetrate the pigment under the skin. They therefore require more frequent touch ups than other techniques. Typically clients come back between 8-12 months for a colour boost. Microblading is less effective on oily/combination skin types than other methods. Ready to get your perfect brows? Book your session here. Would you like to be trained in this service? More details please! Overview: This technique has been around for decades, but has been gradually improving over the years. The ombré powder fill method is more like a traditional tattoo, and involves the application of thousands of tiny dots of pigment, inserted into the skin, gradually building up a colour and defined shape. Pros: Ombre powder fill brows use a more traditional tattooing method, with longer lasting results, and works with most skin types, including oily or combination skin. Clients come back for colour boosts closer to the 12-18month mark. The brow is also fuller and more defined or dramatic than with the hairstroke method. Cons: Because this method has been around for a long time, it doesn't have the best reputation. Many people are fearful of this method looking unnatural, because it does create a more defined, solid look than microblading alone. But today's powder fill permanent brows are waaaaaaay more natural looking than their 1985 predecessors. 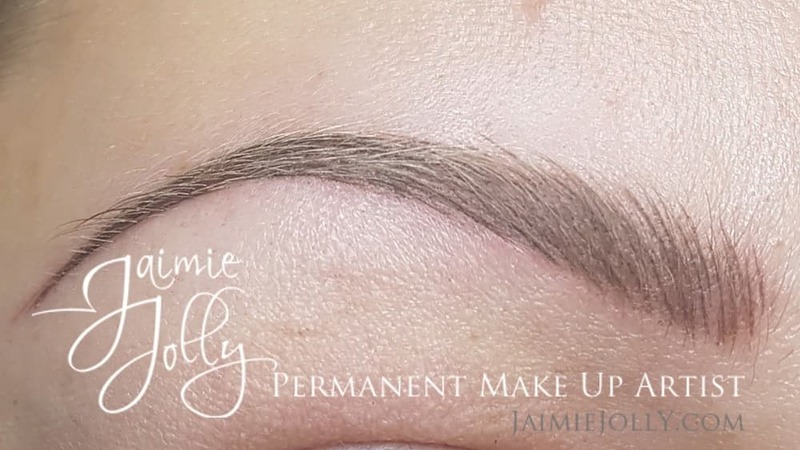 In fact, ombre fill brows can be made to look very natural, by not saturating the desired brow shape 100% with pigment and allowing for a defined yet soft/non solid look. Who is it best for: If you are someone with oily or combination skin, or who fills in your brows regularly with pencil or shadow, then this is the method for you! It mimics the look of filled in brows, without all the effort each morning. Overview: Remember when I said up above that there is no BEST method? It's true, it's true, but between you and me, the hybrid brow is my favourite. It's pretty much exactly what it sounds like: a combination of microblading and powder fill. Pros: The combination of microbladed hair strokes and a powder fill gives an incredibly natural looking brow. It's a bit more defined and filled in than just straight microbladed brows, and a bit less solid and dramatic than the ombre powder fill. Cons: The hybrid brow costs slightly more than the other two methods, but only slightly. Who is it best for: I really love this technique for everyone to be honest. All brows are customized specifically for each individual client based on your desired look, skin type, colouring, bone structure etc. There are no two clients with the same brow design. Want more? Check out my before and after gallery here. Guess what Petawawa!? Jaimie Jolly, brow boss extraordinaire and permanent make-up specialist is coming to The Urban Lounge Salon & Spa. Jaimie's advanced techniques have brought her national recognition and she is now featured at over a dozen spas across Canada. Limited space - book your spot now! Nationally celebrated Permanent Makeup specialist, Jaimie Jolly is now featured at Spa Muskoka in Huntsville, for one day each month. Everyone is falling for Jaimie's revolutionary new microblading techniques! Book your spot now - limited space! Ladies & Gentlemen, The Boss Babe of Permanent Makeup! Jaimie Jolly knows a thing or two about beauty: as a professional make-up artist, permanent make-up artist, elite microblading technician, health and wellness consultant and certified aesthetician, she brings a wealth of knowledge and experience to her craft, making her one of the most sought after beauty professionals across Canada. Shut the Front Door, Ontario! Top Permanent Makeup Artist Announces 10 New Locations! Whether you're from London, North Bay, Petawawa or anywhere in between you can get your beauty on at a location close to you!